Think Tank with Tank Sinatra is the only show that will reveal untold stories and life strategies from some of the most interesting people in the world. Over the course of being in recovery for 16 years, bodybuilding for 25 years, building an Instagram following from zero to three million in just three years and making relationships with some of the most famous and interesting people in the world, I've created the Think Tank. Using humor and genuine curiosity I get these people to open up and reveal another side of themselves and their personal journeys that you will not hear anywhere else. You'll gain tools and insights each week so that you can build the life that you deserve. Subscribe right now to the Think Tank Podcast, or I'm gonna put you in a headlock. Dan Soder (comedian and actor) joins Tank Sinatra this week to discuss getting fired, Jussie Smollett, Dan getting into comedy, bombing on stage, the joke process, Louis CK, F*ck Jerry and Fat Jewish, Dan working on the TV show Billions and so much more! *Please note the audio during the first 2 minutes of the episode are a little distorted due to technical difficulties but it clears up right after 2 minutes. We apologize for any inconvenience! Noah Neiman (co-founder of Rumble Boxing) joins Tank Sinatra this week to discuss why Noah works out, the importance of staying humble and expressing gratitude, their shared battles with addiction, hitting rock bottom, growing up with Wiz Khalifa, loving the process, learning the most from the biggest failures, their love for their dogs, people who spend their time trolling others, the effect of social media on children, guided meditations, how Rumble got started, the future of Rumble and so much more! Kacie Margis, Las Vegas shooting survivor, joins Tank Sinatra this week to discuss Kacie's intuition leading up to the music festival, the moment she realized the magnitude of the situation, how she and her sister escaped, bystander syndrome, how this tragedy effected Kacie's feelings about guns and gun laws, dealing with intrusive thoughts, hateful comments Kacie has received on social media, submitting to Tank's Christmas Giveaway contest for her sister, and plenty more! 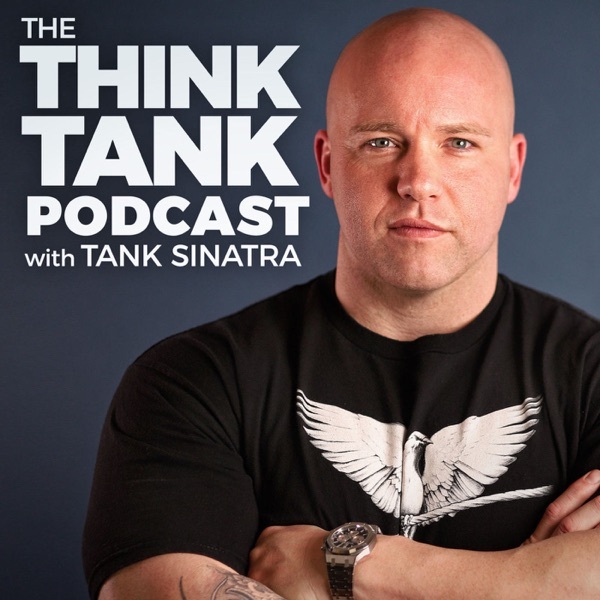 Subscribe to the brand new Think Tank Podcast with Tank Sinatra!